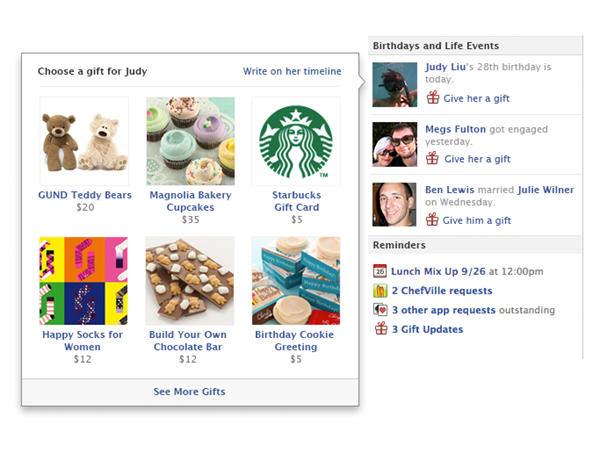 Facebook has rolled out Facebook Gifts feature which allows any user to send gifts to their Facebook friends. Gifts can be chosen from Facebook’s own online gift store and items can be cookies, household goods, t-shirts and posters. Range and variety of gift items is expected to increase in future as Facebook is going to allow businesses to partner and sell their products via Facebook Gifts. Sending and receiving a Facebook gift is fairly simple. Go to your friend’s timeline and click on ‘Gift’ at the top and pick out an item. Next step requires you to choose a card and add a personal message. Your friend will be notified that you have sent a gift to her. There are 2 ways of notifying your friend about the gifts. Facebook will send an email and a notification to let her know about the gift. Facebook will also post on her timeline about the gift that she has received. Visibility of the post on her profile is determined by the privacy settings. However gift is shared on her timeline but the personal message sent along with gift is only seen by your friend. If you don’t want Facebook to share the gift on her profile, you can uncheck ‘Share Gift on Friend’s Timeline’. By doing this you are instructing Facebook not to share the gift on your friend’s profile. Only an email and Facebook notification will be sent to your friend. Once your friend receives the notification she can view the item and read the card. She then need to enter her shipping details and also gets an option to choose a different size, color or style. Your friend can also swap the gift with another item in the similar price range. 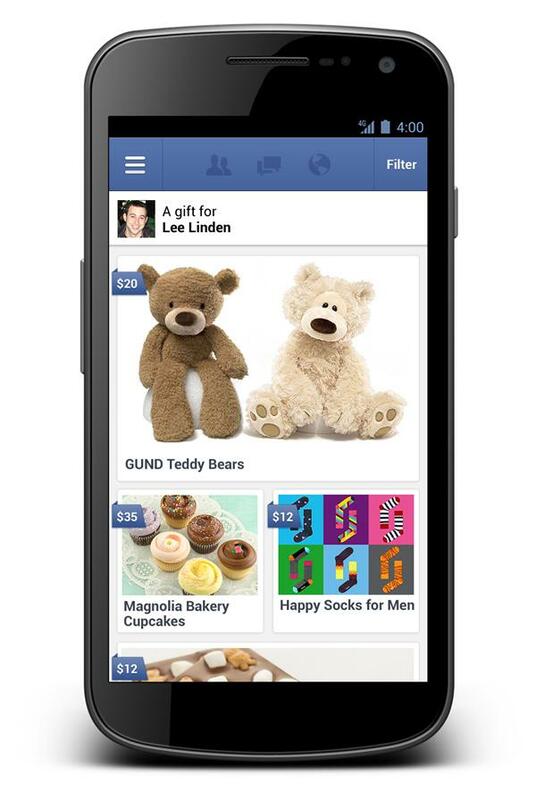 Facebook makes sure that price of the gift is never disclosed to your friend. If any digital gift is sent, your friend will need to enter their email address. For future references, Facebook will store your friend’s shipping information and preferred email address. To make a payment for your Facebook Gift you can either choose to pay before your friend enters her shipping details or after the details are provided by her. You can make payments using a credit or debit card (Visa, MasterCard, American Express or Discover) Facebook will store your credit card details for future use and payment receipt will be sent to you within 24 hours. Note: You can remove your credit card details under Account Settings > Payments > Payment Methods. If your friend doesn’t respond to the gift within 2 weeks, then order will be automatically cancelled and payments will be refunded by Facebook. Estimated time of refund is 7-9 business days. Anytime you want to review your Facebook Gift order, you can go to Settings > Account Settings and click Gifts tab. Facebook will ask recipient of Gift to enter their shipping details, so sender doesn’t need to know the shipping information of their friend. Facebook will charge sender for shipping and charges may vary depending on the gift item and whether the gift item requires special packaging and handling. Below is an estimate of shipping charges. Most of the items are shipped within 24 hours and will be delivered within 3-5 business days. If you gifted a magazine subscription to your friend, it may take up to 8 weeks for the first issue to arrive. During initial roll out, Facebook Gifts is available only for users in United States but will be expanded to other territories soon.